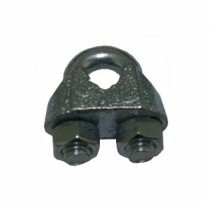 Complement your acquisition of wire rope and thimbles with our wire rope grips. 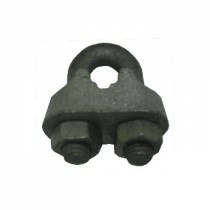 Fasten your wire rope and secure your load, by appropriately tying the end of your wire rope with our wire rope grips. We stock a range of commercial wire rope grips and double throated wire rope grips for extra durability. Our single throated wire rope grips range in sizes between 2 mm and 26 mm, and our double throated wire rope grips range in sizes between 8 mm to 28 mm. 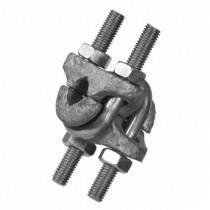 It is important to note that our wire rope grips are not intended to be used for lifting applications. The grips should not be used to make terminations to wire rope on live applications especially if the load is heavy, unsafe, involves persons and involves variable forces. Furthermore, it is common for wire rope grips to be inspected regularly to ensure that the nuts have not become loose and that the grip remains strong. We stock wire rope grips that have been manufactured in accordance with AS 2076-1996 (wire rope grips for non-lifting applications). Our wire rope grips are available in galvanised and electro-galvanised options to suit your requirements. Take comfort knowing that your wire rope grips have been tested and certified and acquire your heavy-duty wire rope grips from Keble’s Trading. 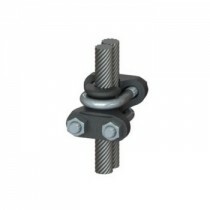 Turn to Keble’s Trading for dependable-grade WIRE ROPE GRIPS. Talk to us! We speak your language! We understand your business. Call us at 1-800-067-687 or fill out the contact us form below. No inquiry is too large or too small. We would love to be of service to you today!